What are Metal Barcode Stickers? Metal stickers go by many names, including metal labels, metal foil labels, and foil asset tags. No matter what you call them, metal stickers are known for their security and durability and for offering readability through the life of your assets. Metal stickers are an important component of asset tracking systems, which enable organizations to accurately record and monitor moveable assets as they journey throughout an organization. As such, metal stickers are valuable loss prevention tools because they allow organizations to keep tighter control over assets that are rarely in the same location and to deter theft of high-value assets. Metal stickers are a solution for asset tracking because the information on the barcode and the barcodes themselves remain readable for the life of the asset on which you adhere them. This means that organizations are able to use their metal stickers and asset tracking systems to reduce the amount of manpower required for inventory management; metal stickers used in asset tracking automate the process of counting assets and monitoring them throughout their lifespan. By utilizing barcodes on metal stickers, organizations are able to transfer assets’ known locations from one department to another or continually track the flow of assets throughout a multitude of areas. Metal stickers are a durable, flexible solution that stay in place over time. They may be used in a variety of settings and applications and often prevent intentional removal of labels for theft or unauthorized asset transfer. Metal stickers that feature pressure-sensitive adhesive permanently bond to surfaces, so they are not likely to come off of the asset to which they are adhered or deteriorate over time. That’s why metal stickers streamline asset management. If you have customization requirements, you will be happy to know that metal stickers are customizable with various fonts, logos, or colors to aid in the asset tracking and reporting processes. Metal stickers also feature durable construction, as they are constructed of durable anodized aluminum with their images sealed beneath a protective layer to ensure readability for years. Metal stickers also have resistance to chemicals, solvents, abrasion, and extreme environments, so organizations may use them in indoor and outdoor applications. Organizations and facilities also choose metal stickers because they enhance efficiency and result in cost reductions. 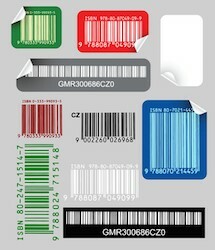 Metal stickers may feature scannable bar codes, to enable precise inventory counts and an efficient flow of products throughout the organization. Metal stickers also provide streamlined reporting and maintenance history monitoring so that assets remain in working order. Additionally, assets that are labeled with metal stickers are less likely to be stolen or transferred without authorization. Organizations that have control over their assets are able to schedule use across departments and reduce the need to purchase additional or duplicate assets. When used for asset monitoring, metal stickers also aid in maintenance monitoring and may reduce repair and replacement costs. As a result, organizations benefit when they utilize metal stickers because they lead to cost reductions and bottom line boosts. More Tool Tracking Tips available. Metal stickers go by many names, including metal labels, metal foil labels, and foil asset tags. No matter what you call them, metal stickers are known for their security and durability and for offering readability through the life of your assets. 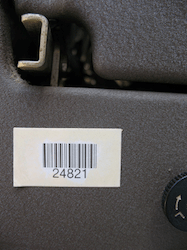 Metal stickers are an important component of asset tracking systems.